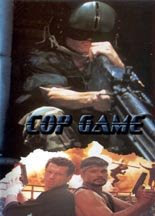 A short while back, I reviewed a film on IMDb called Delta Force Commando. The film proved to fail in just about every conceivable way possible with poorly conceived and executed action scenes, some atrociously lazy acting and universally bland characterisations. In short, the film represented exactly how NOT to make an action B-movie. Well if that pile of poop represented one end of the scale, then the film reviewed here must surely represent the opposite end of the spectrum. In short this one shows exactly how a B-movie should be filmed! Aside from the script and performances, the action scenes are also great fun. This being a Bruno Mattei film, as you can probably expect, there's a fair bit of recycled footage from other films in here. Most notable, I picked out some of the explosive segments from Mattei's own Double Target and the infamous model car chase from Antonio Margheriti's Ark Of The Sun God. Far from a criticism however, the blatant obviousness that the film was made on the cheap actually makes it even more endearing especially when it is compared to some of the hugely budgeted, but ultimately utter crap offerings that Hollywood so often churns out these days! 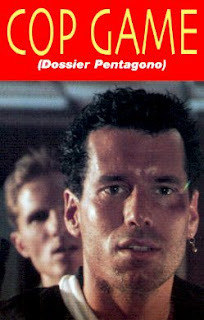 For Mattei fans and B-Movie lovers alike, this is well worth a watch! Bruno Mattei, probably the Ed Wood of the Italian cinematic scene, once again demonstrates that he has no talent whatsoever. Here we have a film which fails in so many aspects at once that one cannot help but love every antagonizing minute of it. Huff and Laurel (two no-name, Z-movie action stars) are a couple of cops who patrol the streets of Manilla, shooting baddies and roughing up a few lowlifes here and there. Somehow, they get caught up in a web of political conspiracies and the like and end up in Vietnam, blowing the crap out of the 'Cong. The two track down Major Shooman (played by Robert Marius of Alien from the Deep), an eccentric leader of a breakaway military force (a scene which completely rips off Apocalypse Now). 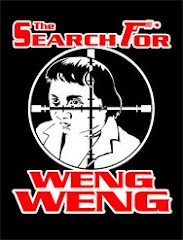 Anyway, after "accomplishing" their "top-secret" mission, the two go back to Saigon, or Manilla, or wherever, and Laurel is offed by hitmen (led by Massimo Vanni of 1990 The Bronx Warriors and Street Law). Suddenly, Huff is the target of an elite terrorist organization in league with Russian spies who have somehow infiltrated the government. ...What? Lots of action and explosions, but horrible camerawork ruins it all. Mattei places the camera all at the side of the action, always medium shots, always flat. Sometimes the camera is placed so far away from the action that one would be hard pressed to tell what's going on, and sometimes they don't even bother to aim at the action at all! There's some nice slow motion (some neat explosions, shootings, a bunch of killers pumping a car full of lead, etc.) and erratic stock footage, but nothing noteworthy or denoting any sense of "style" these Italian films often rely upon. The only really "exciting" action scene completely rips off an Antonio Margheriti film Ark of the Sun God by blatantly re-using the cheesy hot-wheels car chase ...I swear to god, the exact same footage and everything! There's even a few frames where you can see David Warbeck driving the car! 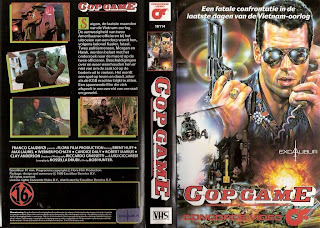 Add to this the poorly integrated vietnam footage, the thousands of historical inaccuracies (yeah, the Vietcong had lots of M-16's...), and a jumpy plot which goes is several directions at once, and you've got a typically hilarious piece of Italian late-80's action trash. The acting, editing, cinematography, and direction were all just as empty-headed as Al (director of Fatal Frames) Festa's goofy soundtrack. Huff screams through his lines as though he is trying to compete with the obnoxiously loud guitar music. This is undoubtedly the most incompetently produced film I've seen yet (besides a few unmentionably bad titles I won't mention here), but remains hilariously incompetent enough to never cease to entertain. It's a rip-roaring riot of a good time and a perfect feature for parties or bad movie festivals. Hilariously, amazingly.... awful! Bruno Mattei, I salute you! Wow, this is one for the books, really. Huff and Laurel play investigators on a case involving military officials that are being murdered by an elite group of commando assassins. Eventually they find themselves mixed up in a massive conspiracy as well as getting caught in the middle of out and out war on the front lines of Vietnam! There was some talk about drugs and terrorism also, but mostly things just get blown up! Have you ever found yourself in emotional turmoil over what kind of movie to watch? Torn between your desire for fierce action and laugh out loud comedy? Well then, Cop Game is here to solve that problem for you! Lots of recycled footage and a pretty impressive body count are on display. Mix that in with Vietnamese go-go dancers aiming their silly choreography right at the camera and some of the most hilarious dialogue ever recorded on film and you’ve got a good time waiting to happen! And man, that theme song! Huff delivers nearly all of his lines in a way that makes you wonder if someone on the set insulted his mother right before every scene! You just won’t believe this one… Get some friends together and enjoy this uncut widescreen print presented to you in English language with Japanese subtitles.